Eleven year old Cat and her seven year old brother, Chicken, live with their mom in California. Since their father died, their mother works long hours to make ends meet. Cat is responsible for looking after Chicken, who has some special needs. She knows exactly how to calm him down and is fiercely protective of him. The kids are looking forward to their annual summer vacation with friends when their plans abruptly change. They must now spend the summer with grandparents they have never met on an island in North Carolina. 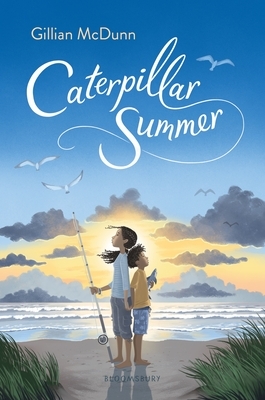 This is a tender and uplifting story about empathy, connection and family. The author beautifully captures the atmosphere and rhythm of a summer spent at the beach.